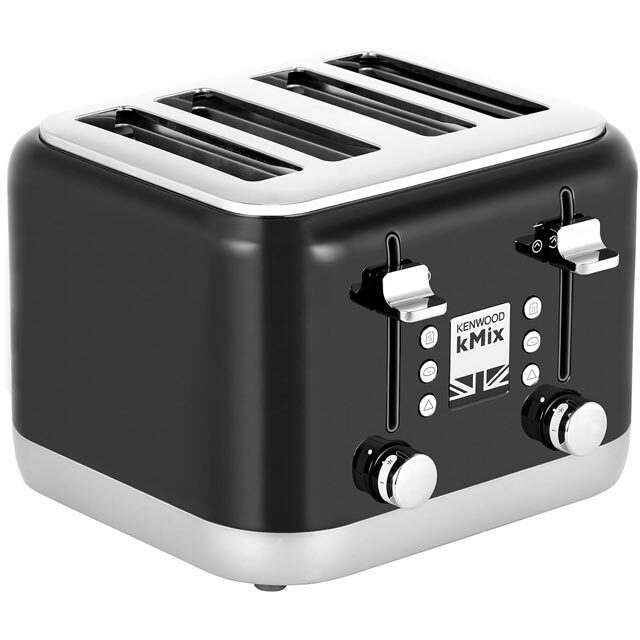 Keep everyone happy at breakfast with this black 4 slice toaster from Kenwood. Whether you’re toasting fruit bread or tasty crumpets, the handy high lift function lets you remove smaller slices without fear of burning your fingers. For an irresistible lunchtime treat, the bagel function browns the cut side while keeping the rest soft – perfect with velvety scrambled egg. If toast is ever left to go cold, the brilliant reheat function warms up slices without burning them, for a delicious snack every time. This toaster is effortless to keep clean too, thanks to the removable crumb tray. 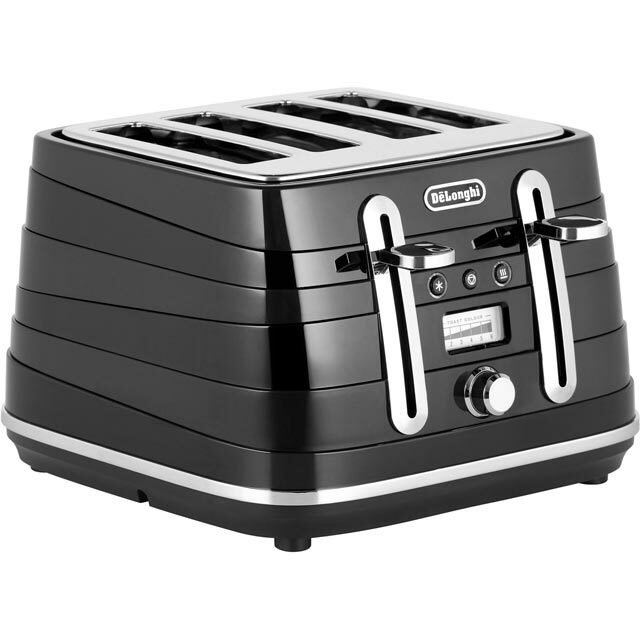 It does what it should do, it toasts bread, wonderful! I bought this because I wanted a toaster with a bagel function and this matched my other kitchen items. 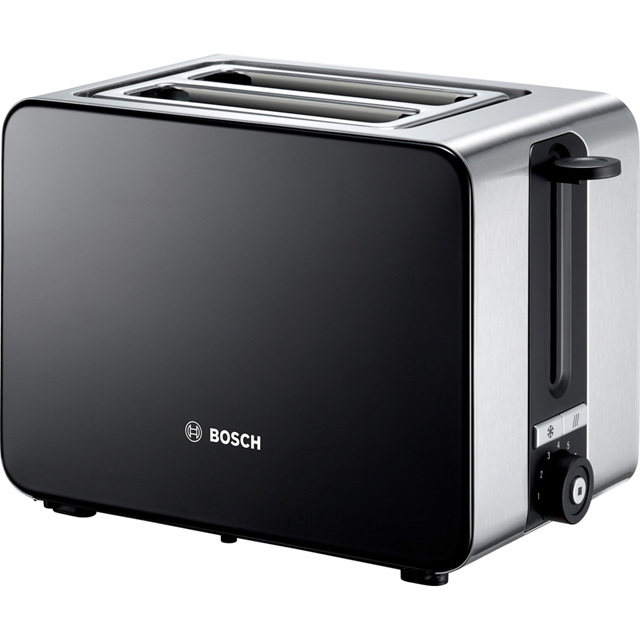 It toasts everything evenly, and I especially love the lift and peek function - it's a revelation to me! I couldn't have chosen a better toaster, and it gets used several times a day. 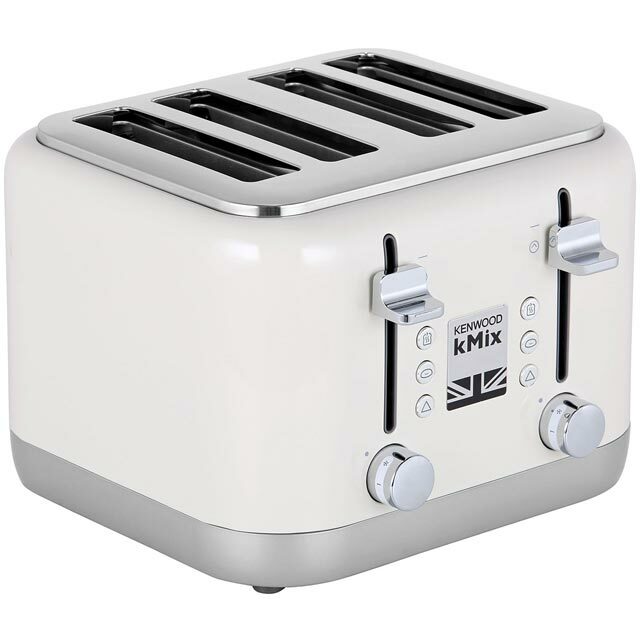 Unfortunately despite reading the reviews this particular toaster does not toast both sides of bread evenly, one side is always "crusty" rather than toasted on the 2 outside slots. * TFX750BK_BK was at the higher price between 25/01/2019 and 10/04/2019.